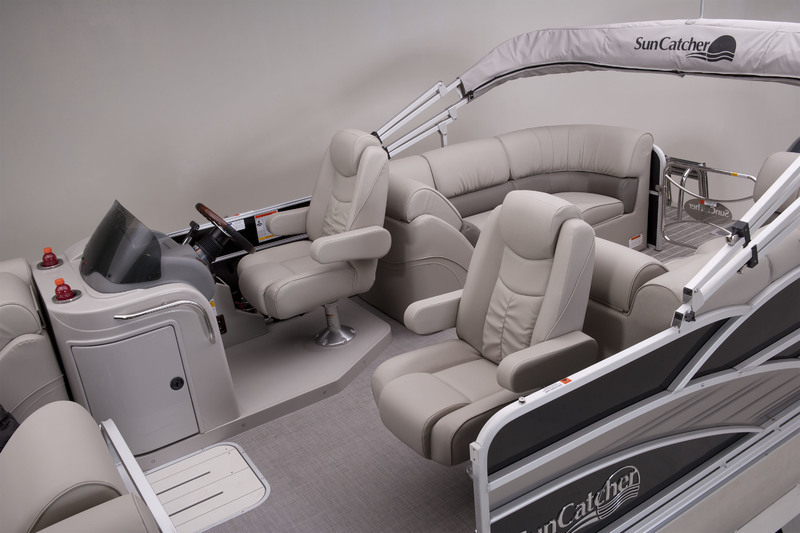 Twin couches in bow provides luxurious seating and extra storage. 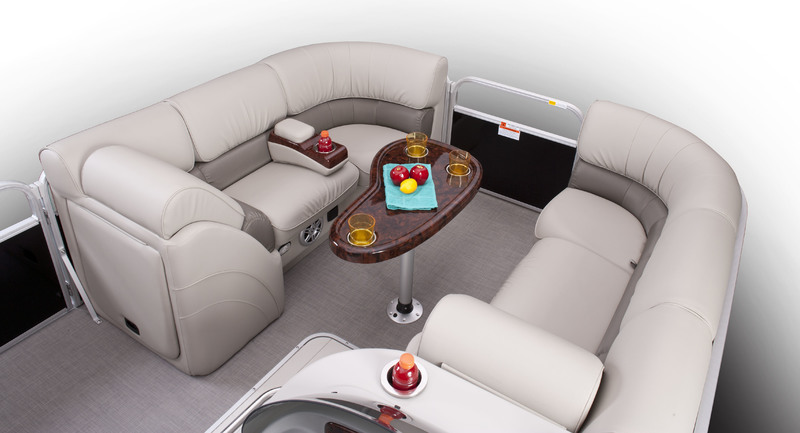 Enhance the "rec room" feel by adding a bow couch insert for full wraparound comfort. 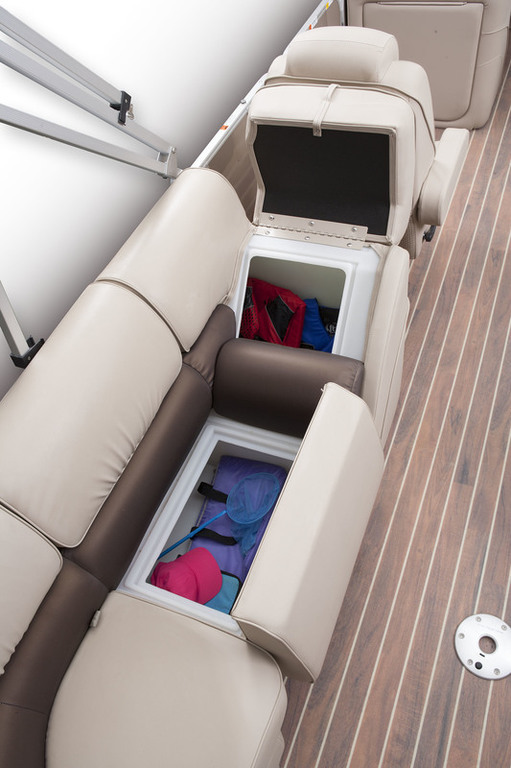 Seating and storage is abundant on the Elite 322 RC model. There is room for twelve passengers and all of your gear.